Many Oreochromis species utilized in aquaculture were extensively introduced outside their native range in Africa. Given their recent evolutionary radiation, these species hybridize easily, posing a threat to the integrity of local adaptation. 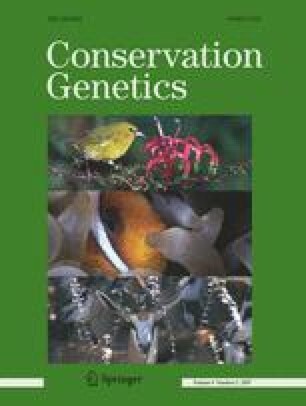 The objective of this work was to study the genetic diversity of the Mozambique tilapia (Oreochromis mossambicus) in its native range, southern Africa, and provide a method for identifying hybrids with genetic markers. We genotyped the mitochondrial DNA (mtDNA) control region (385 bp) of wild and farmed O. mossambicus, wild and farmed O. niloticus and morphologic wild hybrids. These data were complemented with published sequences of parapatric and sympatric Oreochromis taxa. Phylogeographic analysis showed the presence of two O. mossambicus lineages, the southernmost representing a recent Holocene radiation. Hybridization of O. mossambicus was indicated by the presence of O. niloticus and O. mortimeri–andersonii mtDNA specimens in the Limpopo basin and of O. karongae mtDNA in specimens from Malawi. We also genotyped seven suspected hybrid individuals from the Limpopo River, and 137 wild and farmed Mozambique and Nile tilapia samples with five microsatellite markers. Factorial Component Analysis, Bayesian clustering and assignment analyses consistently delineated an O. mossambicus and an O. niloticus group, with the putative hybrids positioned in between. Different levels of hybridization were detected by the Bayesian assignment. The complex nature of hybridization and introgression between cichlid species raises major concerns for the long-term integrity of Mozambique tilapia. This project was funded by the Department of International Development (DFID, UK) and benefited from a Bilateral Scientific Cooperation Grant between the Republic of South Africa—Flanders (Belgium) (Project BIL/00/30). H. Heyns of the farm Samaria is sincerely thanked for permission to collect samples, and G. Maes, D.␣Tweddle, J. Snoeks, two anonymous reviewers and Editor␣E. Nielsen for providing useful comments on the manuscript. We also thank N. Leat for critically reading the manuscript.